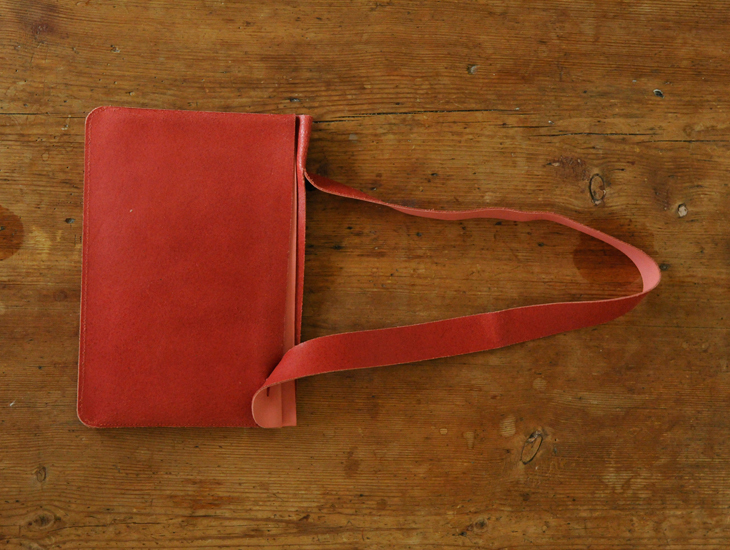 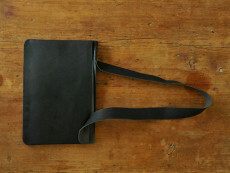 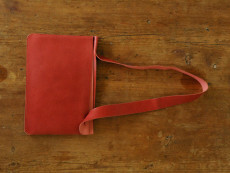 One piece of leather... slit, folded, sewn, and made into a bag. 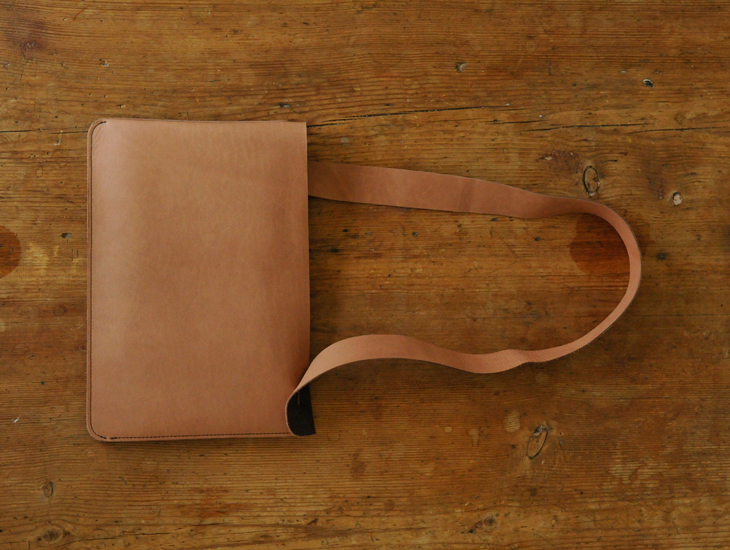 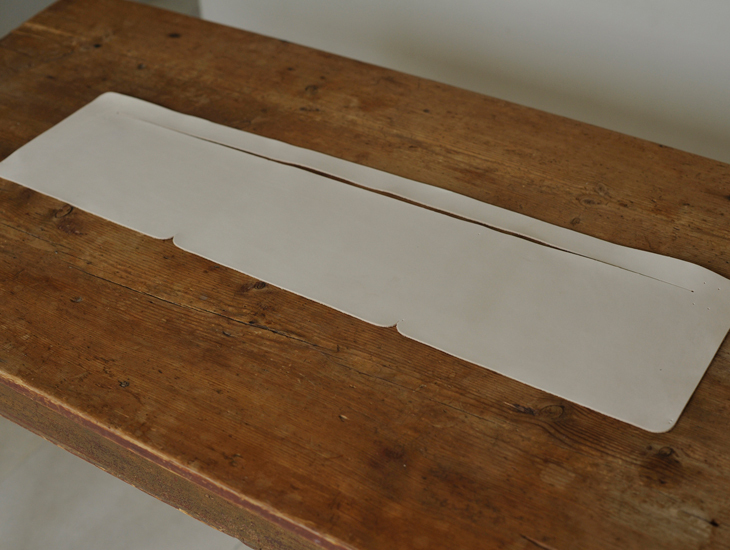 The leather is split into the strap and the main body, and a loop is sewn into the bag to make the partition. 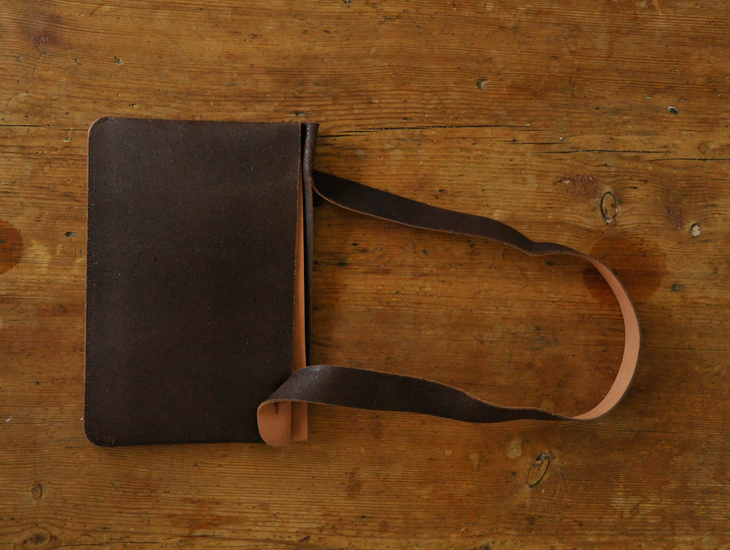 Over time the leather is nicely worn into the shape of the contents of the bag. 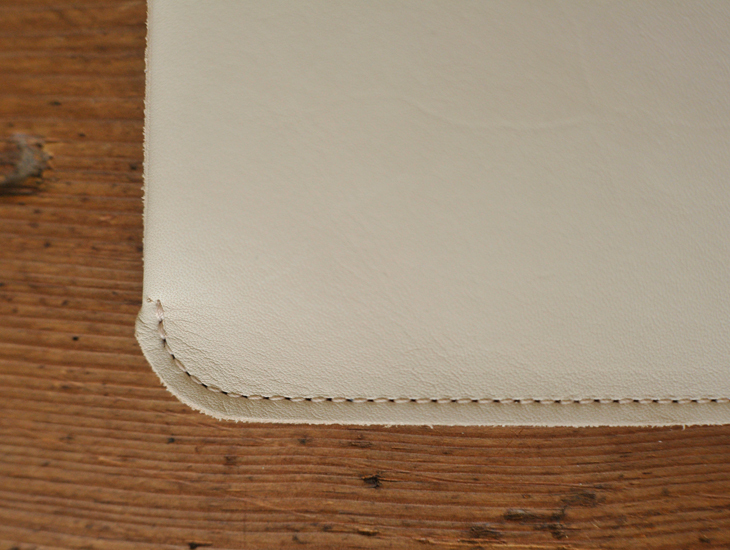 The difference in height of the partition makes it easy to use, and good to look at as it shows the beautiful color differences between both sides of the leather. 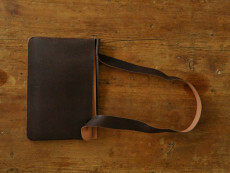 A truly unique use of one solid piece of leather. 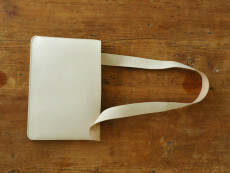 This bag goes well with any fashion - dressy or casual. It's also recommended for travel use as it can be packed flat when empty. *This bag makes a great little outing bag. 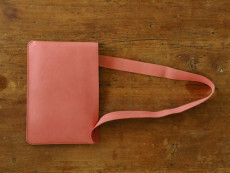 It carries light things such as a paperback, wallet and mobile phone. 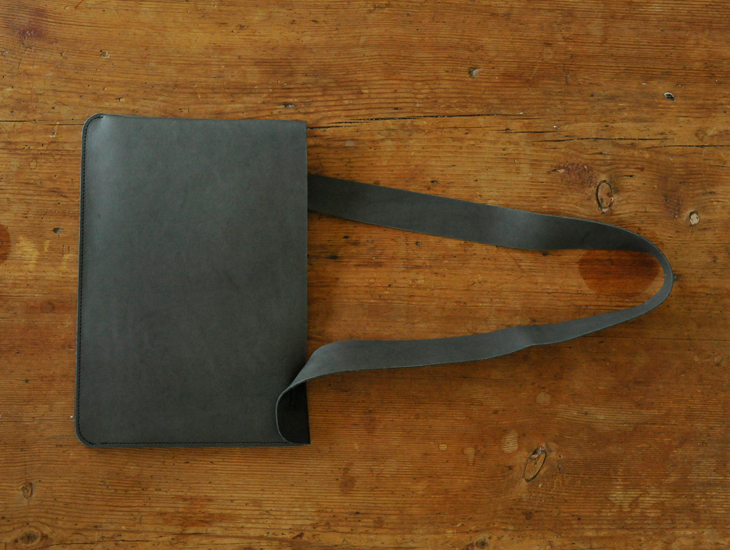 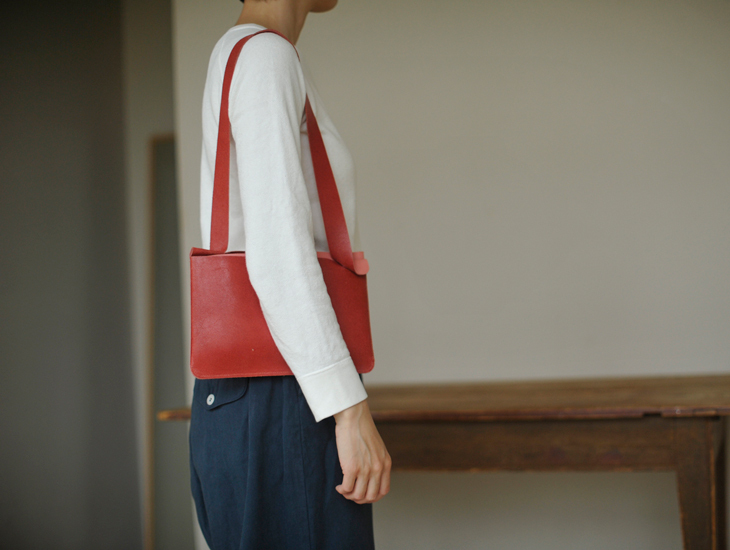 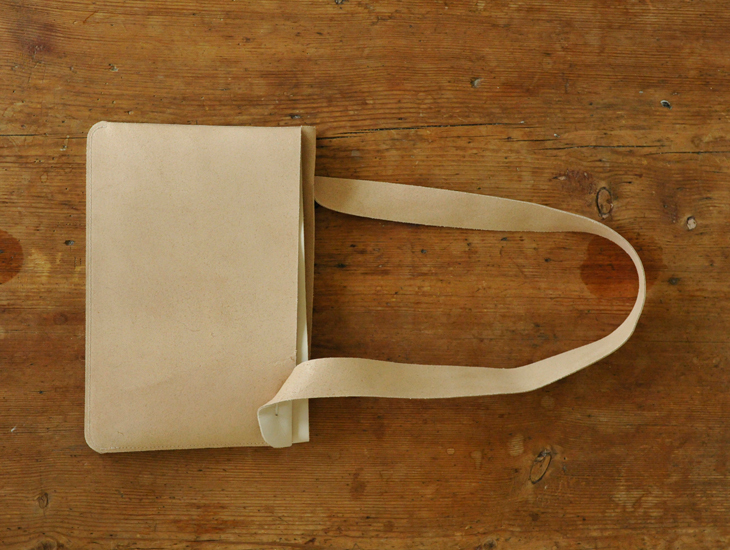 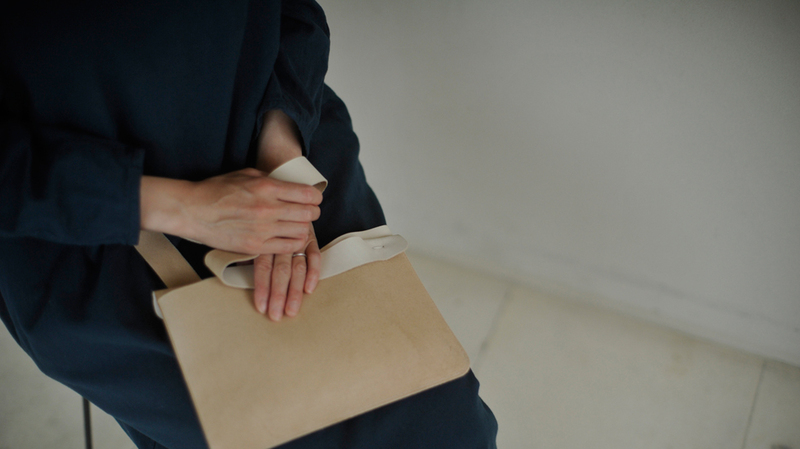 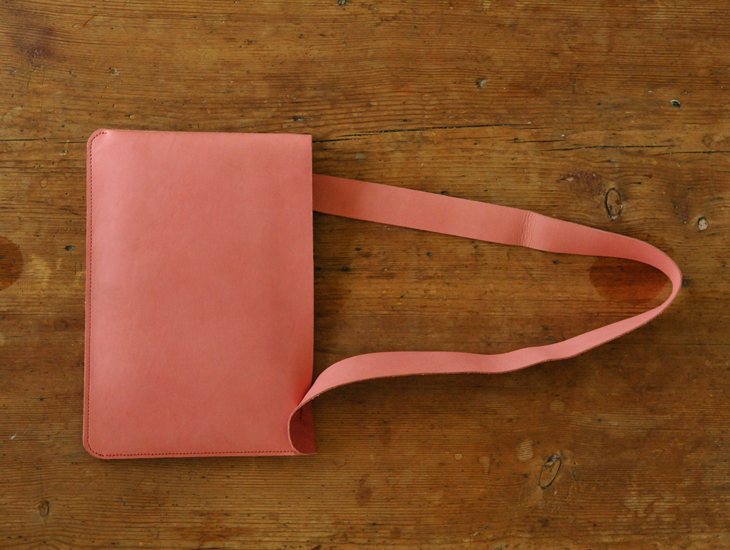 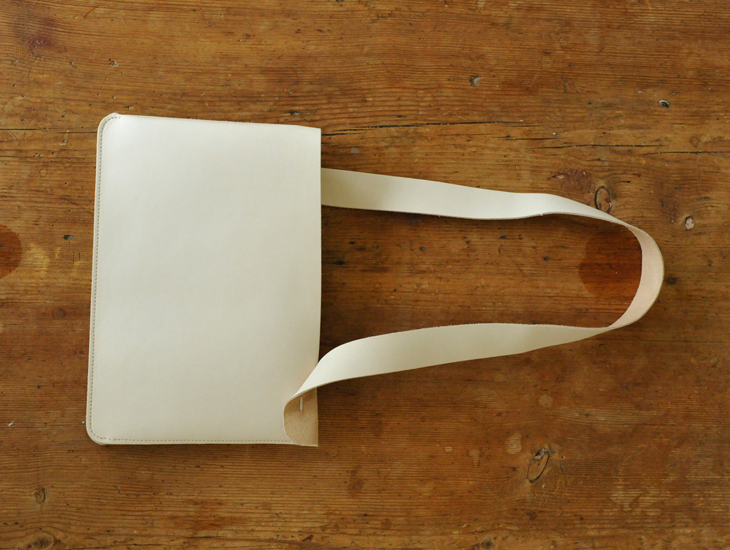 The bag is made entirely of leather and it will adjust to your body over time. Rubber cement is used for gluing. 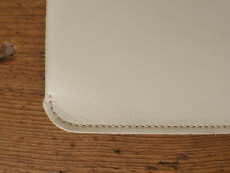 ･The underside of the leather is coated with a clear resin which prevents scuffing. 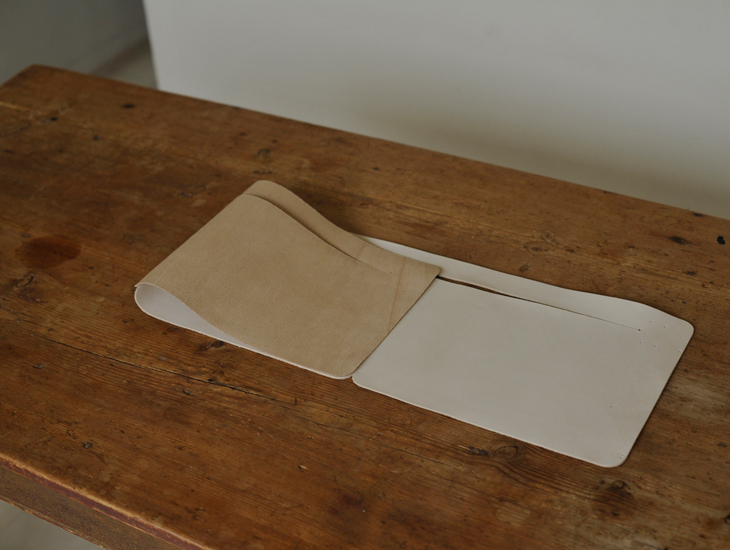 The color difference between the front and back is due to the fact that the darker side contains more moisture. ･The leather is tanned with vegetable tanning which retains the leather's original texture. ･This product may lose color caused by exposure to water or abrasion. 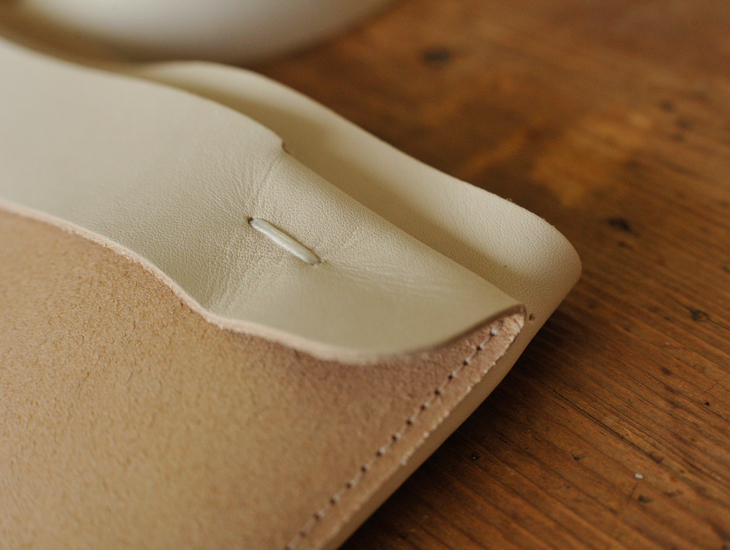 ･We maintain the scratches, stains and lines that come naturally on the leather. ･The color, thickness and texture may vary due to the fact that the leather is a natural product. ･The color, glaze and shape may change over time, especially the strap which may get longer. 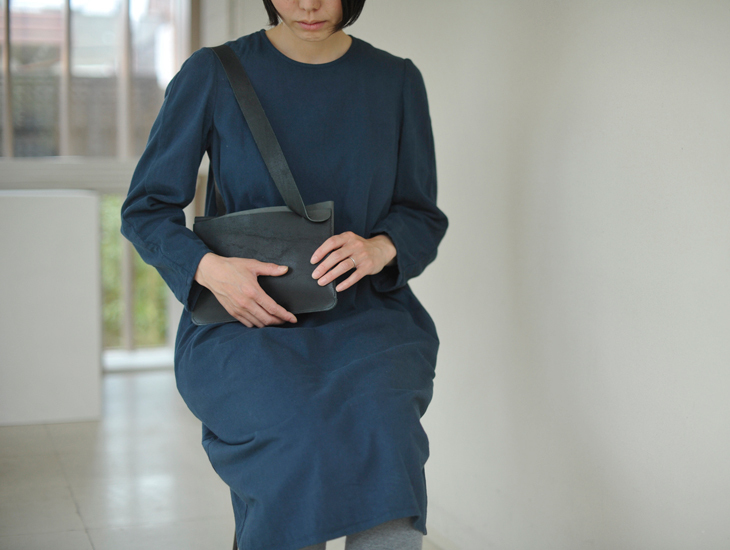 ･Friction on clothes, with the coarse side of the bag, may cause bobbles.